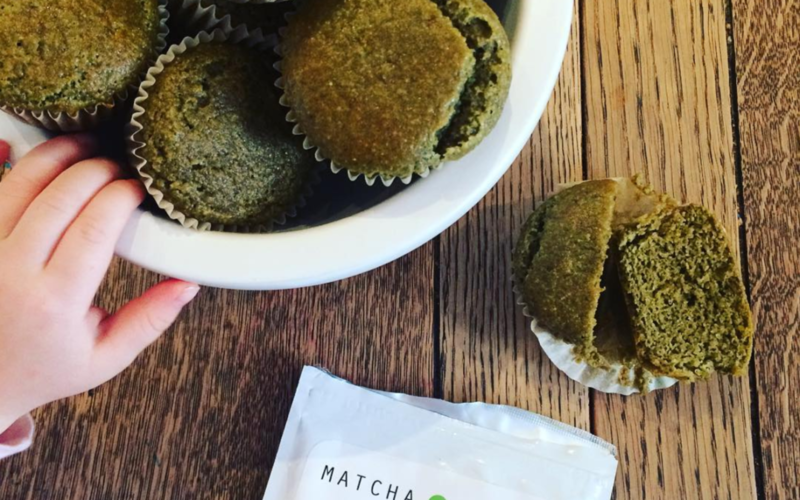 Why: Matcha has been studied for its incredible anti-cancer benefits. One of the reasons why matcha is so powerful as an anti-cancer agent is thanks to its content of the antioxidants known as catechins. In particular, catechin EGCG (epigallocatechin gallate). ECGG helps to protect cells from DNA damage and inhibits tumour cell proliferation. In addition to this, matcha contains an amino acid called L-theanine. This is an amino acid that perks you up but not like caffeine does. It actually has a calming affect as well, and studies have shown that L-theanine helps to put your brain into the same wave state as monks when they meditate. This makes matcha lattes a perfect alternative to coffee in the mornings as it still gives you some energy, but it’s “clean” energy that won’t tax your adrenals. Line your muffin tin with muffin liners, set aside. Whisk the dry ingredients together, set aside. Combine the wet ingredients together then mix the wet ingredients with the dry ingredients. Distribute batter evenly between the muffin liners then place in the oven. Bake for 15 mins until brown around the edges.